Alzheimer's disease causes brain changes that eventually rob adults of their memories and abilities to perform everyday functions. Many of these changes can be seen in the brains of people who died from the disease or are in advanced stages. But, at this time, there's no clear cut way to spot these disease signs early as they're first happening. Until now, a study suggests. Researchers used a new imaging technique that they say can spot physical brain changes in Alzheimer's as they occur. Brains of people with the disease often show physical damage, including abnormal clusters of built-up proteins called beta amyloid that form brain plaques. They also have dying nerve cells full of tangled strands of protein called tau. The new imaging technology developed by the researchers targets tau proteins in particular, as those proteins are often linked to the negative memory effects of the disease. For the study, led by Dr. Makoto Higuchi, a researcher at the National Institute of Radiological Sciences in Japan, scientists developed fluorescent compounds that bind to tau proteins. That way, the proteins could be picked up on PET (positron emission tomography) scans. 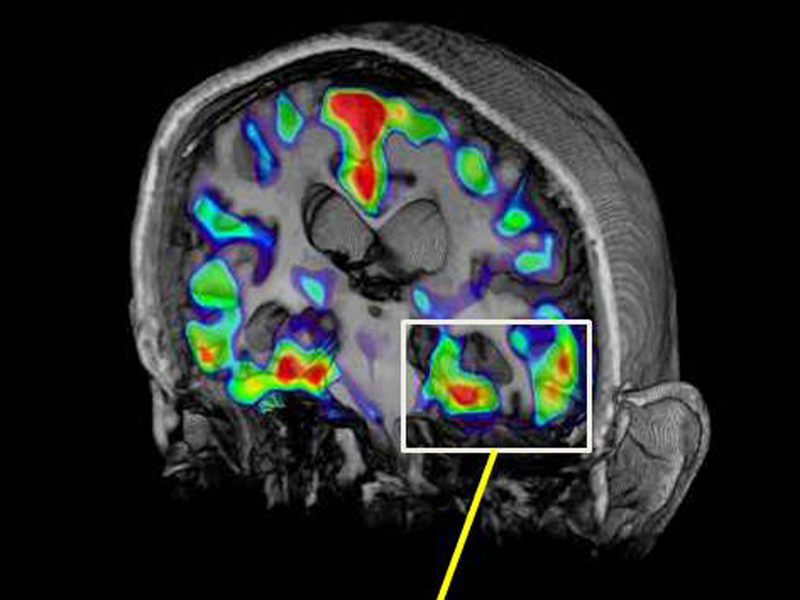 PET scans create 3D images of the brain by picking up radioactive tracer materials that get absorbed into the brain. The signals are turned into 3D images by computers. Researchers gave the test to mice and humans, and received promising results. They were able to correlate the spread of the tau tangles within a brain to signs of Alzheimer's disease progression in both animals and elderly people with the disease. "This is of critical significance, as tau lesions are known to be more intimately associated with (brain neuron) loss than senile plaques," wrote Higuchi. If a scan could track progression of tau protein tangles, it could allow doctors to diagnose the disease earlier or monitor treatments to make sure they are working. The findings could open up new avenues of research, the study authors wrote. The new imaging concept may also help improve diagnoses of other conditions. Tau tangles can be signs of other degenerative neurological diseases, like Parkinson's disease or non-Alzheimer's forms of dementia that don't involve the telltale plaques. The study was published Sept. 18 in Neuron. About 5.2 million Americans have Alzheimer's or another form of dementia, according to the Alzheimer's Association, and that number is projected to increase to 13.8 million by 2050 due to the aging baby boomer population. Alzheimer's is currently the sixth-leading cause of death in the United States. The National Alzheimer's Plan kicked off in May 2012 as a collaborative effort from the U.S. government and Alzheimer's researchers to find ways to diagnose the disease earlier and develop better treatments by 2025. The Obama administration also unveiled a $100 million initiative to map the brain, similar to how government scientists mapped the human genome, in order to learn more about neurological diseases.